18"x 24" Posters. We are proud of our fishery and we want to show it! Commercial Fishing is a hard fought living. Sometimes those Oceans and Fish can really fight and for no glory or fame we stay in the battle till the last bell! Buying sustainable seafood means making a choice to insure the well-being of our oceans, lakes, and rivers. It also means buying fish from properly managed Fisheries. Fisheries are areas where fish are caught but in-turn they encompass the state agencies that govern, research, and protect them. We need agency as it helps grow fish populations, protects and grows jobs, helps maintain a healthy ecosystem, and regulates harvest so it doesn't impact the populations of fish or the surrounding ecology. Purchasing sustainable seafood also means you are making a stand for healthy and naturally nutrient rich seafood in our food system and in our own lives. Fish has long been the diet of humans for our bodies need Omega-3 fatty acids to live healthfully. They help prevent heart disease, they help reduce the risk of Alzheimer's, boost brain development, ease depression, enrich us with Vitamin-D, and help us with healthy skin and hair. With true sustainable fish you are not eating seafood with growth hormones or seafood with dye added to give a "wild" look. You are eating seafood that is a part of its natural diet and ecosystem. The true way seafood has been forever. I have been a commercial fisherman for 13 years. Originally drawn by the adventure of high seas and long long days, I soon came to cherish the timelessness of commercial fishing and dedication that goes into sustaining a fishery. It is still an archaic job that provides much peace and reward. In my early days, at the end of each fishing season, I would stock my freezer with fish and feed my family from my catch. Soon, friends wanted fish and from that friends of friends were calling to procure some. 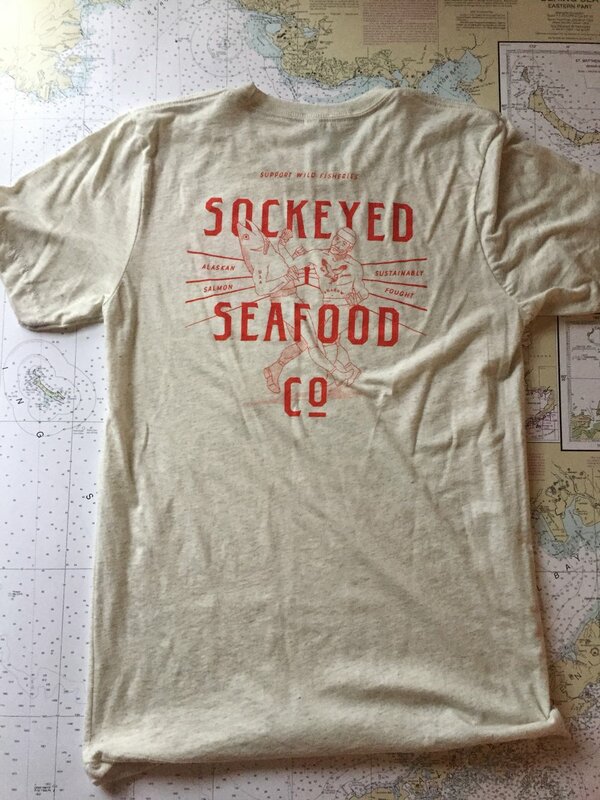 The word was out, fisherman direct is available, and so began Sockeyed Seafood Co.